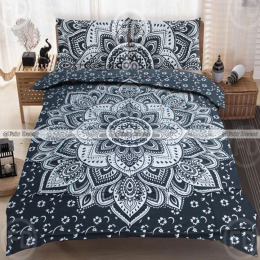 Creating a beautiful home with enhanced interior decorations is not always an easy task but today finding the right decor for the home is relatively made easy by means of online shopping portals. 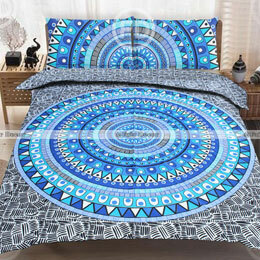 The inclusion of wide lists of bed sheets that are designed with an exclusive style and design can create a perfect match to the place that you live in. 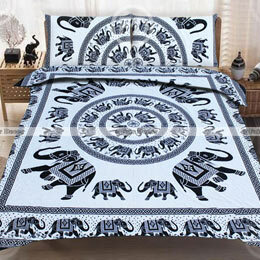 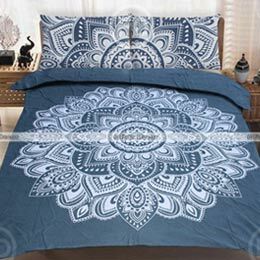 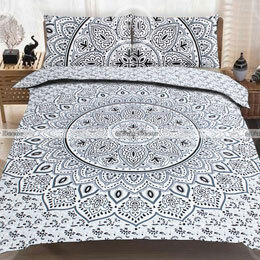 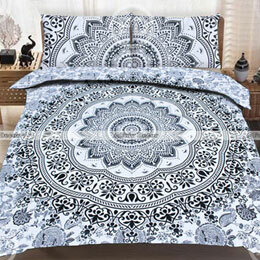 The ethnic design of the mandala bedding can lead to an invariable touch of beauty by elevating the room space into a blend of richness and luxury. 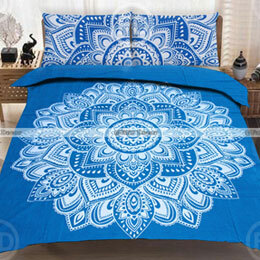 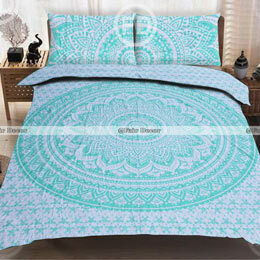 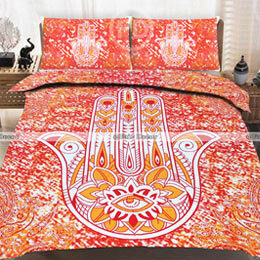 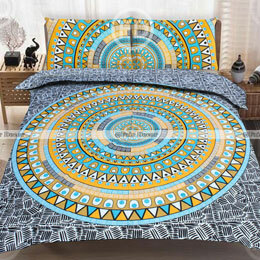 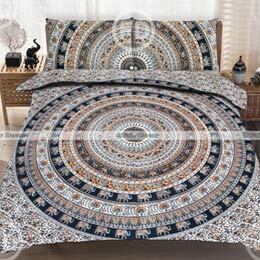 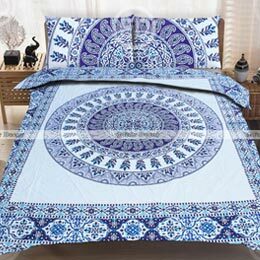 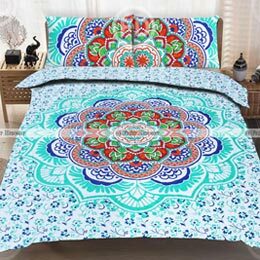 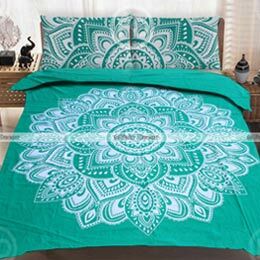 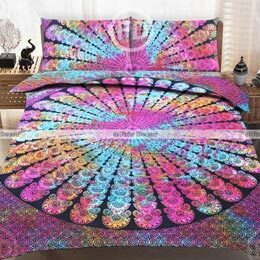 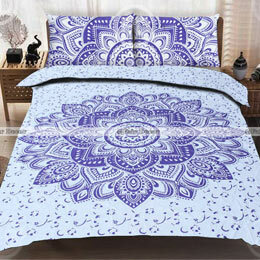 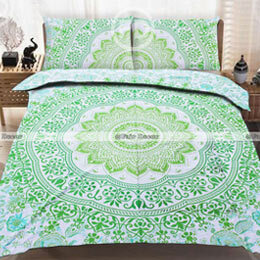 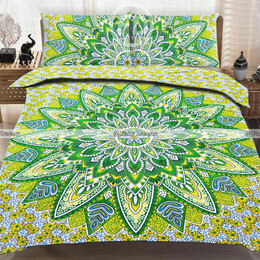 There are mandala bedding sets queen that includes different colors like brown, red, orange, blue, pink, light green and so on. 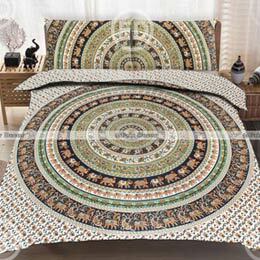 Depending on the living room, a person always has the choice in selecting the required set that would actually suit their room space. 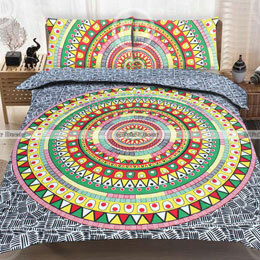 From classic multicolor design to a mix of elegant concentric circles, the hippie bedding sets are completely designed in illuminating the room with a rich sense of decoration. 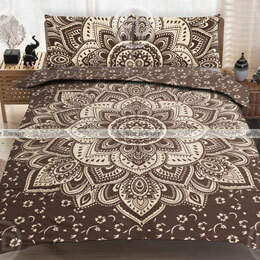 The construction of the fabric is designed to ensure durability and give a lasting look into the room. 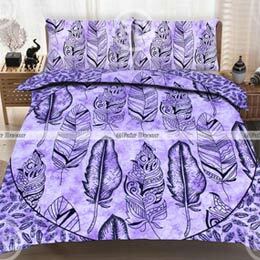 Most of the queen bed sets are rectangular in shape with a tiny spots of imprinted designs. 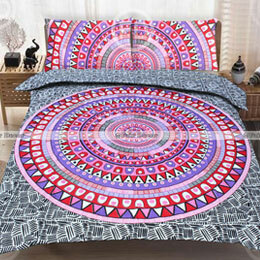 The uniqueness in design is established with highly selected handmade fabric material to ensure a long lasting look upon usage. 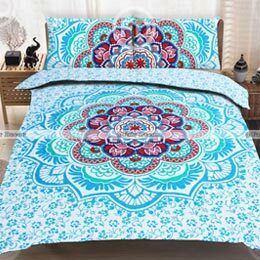 The pillows are decorative enough adapting well with the bed sheet designs too creating a vibrant feel and bohemian look on the bed. 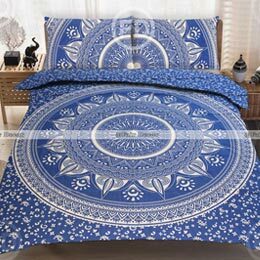 The soft feel of the cotton can make the person have a relaxed sleep during the night giving the ultimate feel of luxury. 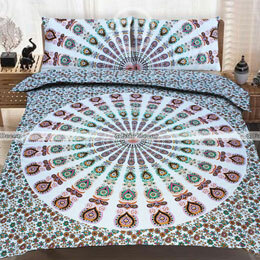 The queen hippie bedding sets are infused with a mix of artistic emotions and carefully selected cotton material in particular. 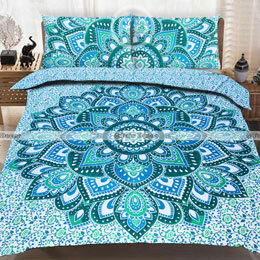 Most of the mandala bedding sets is developed in standard measurements suitable for a queen size cot. 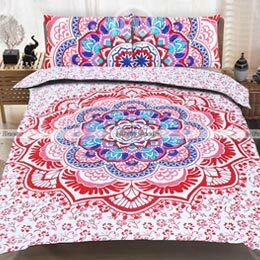 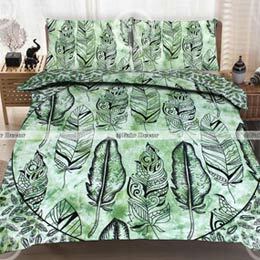 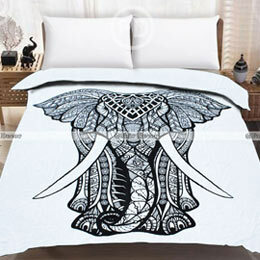 The price ranges are well affordable and there are special discounts and promotions being included on bohemian bedding sets. 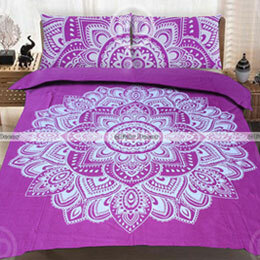 Timely delivery is ensured for people from countries like UK, Japan, Chile and other European countries too. 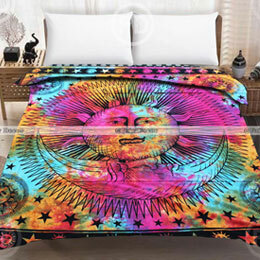 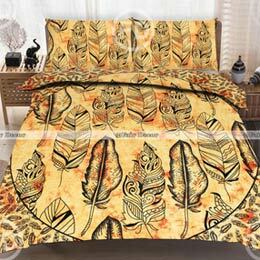 The multi-faceted design of the queen boho bed sets has always increased a huge attraction for people who wanted to enjoy the true mix of luxury and beauty. 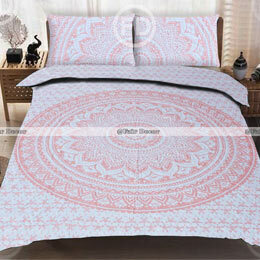 Made from excellent fabric material the sensitivity of the cloth is maintained even after subsequent washes. 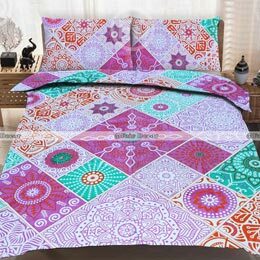 Most of the bohemian bedding sets are designed with a complementing touch of beautiful patterns and creates a difference in placing the right color palettes on the bed. 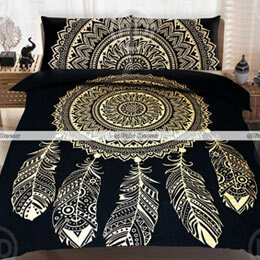 If you really want to give bohemian look to your bedroom interior, then look no further! 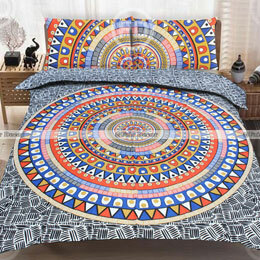 Buy these bohemian bedding sets right now.